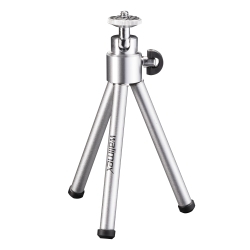 The walimex WT-070 Mini Tripod is the compact solution for crowded situations: It is ideally suitable for your digital or compact camera when using the automatic release, macro photography or reproduction. With the ball head you can work equally in portrait and landscape format and position your camera due to your requirements. 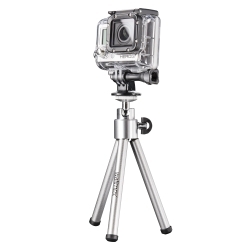 The free rotatability around 360° ensures this. 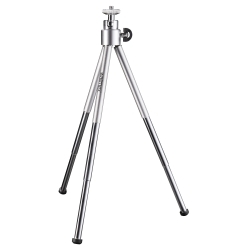 Thanks to the little dimensions and low weight, the Tripod is the ideal companion on travels, because it fits in even the smallest bag.